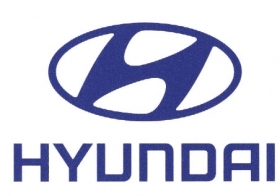 SEOUL (Bloomberg) -- Hyundai Motor Co. posted a 38 percent increase in third-quarter profit as new models attracted buyers in overseas markets, offsetting the negative impact from a stronger won. Net income rose to 1.35 trillion won ($1.2 billion) in the three months ended Sept. 30 from 979.15 billion won a year earlier, the Seoul-based carmaker said in a statement today. Analysts expected a 1.23 trillion won profit, according to the average of 16 estimates compiled by Bloomberg this month. Hyundai may post record car sales this year after luring buyers with its revamped Sonata sedans and Tucson sport-utility vehicles. The company has benefited from a surge in the yen that hampered Japanese rivals Toyota Motor Corp. and Honda Motor Co. in markets where they compete, helping offset a rise in the won that reduces the South Korean carmaker's earnings from overseas. While uncertain economic prospects are clouding the outlook for car sales in the United States and Europe, Hyundai was seen gaining market share with strength in compact cars and regional diversification. Hyundai also is benefiting from improved quality and brand image while its Japanese rivals such as Toyota are still reeling from a massive series of recalls. Hyundai will introduce a revamped version of its best selling Elantra compact in the United States and new Accent and Grandeur in Korea this quarter. "Hyundai, like many other Korean makers, has created a solid structure to manufacture and deliver products at the lowest cost," said Fujio Ando, adviser at Chibagin Asset management in Tokyo. "They also have some of the world's best-known and hot product designers, while Japanese makers are still using domestic designers. Japan has little chance to win this battle."